Grip strength is a very, very important tool in a lifters arsenal. If you’re thinking that you’d rather train your chest instead of your gripping muscles, think again – there can be no weightlifting without grip strength and weak wrists can’t push heavy loads. To get strong and build muscle, you have to frequently pick up heavy stuff, and that would be very hard if your gripping muscles are weak and useless. And if you were to improve your bench press or deadlift, one surefire way to get there is by increasing your grip strength. When your grip strength increases, less neural drive is needed for the forearm and hand muscles to perform lifting movements, which is why most lifters are able to burst through their training plateaus after training their grip for a while. 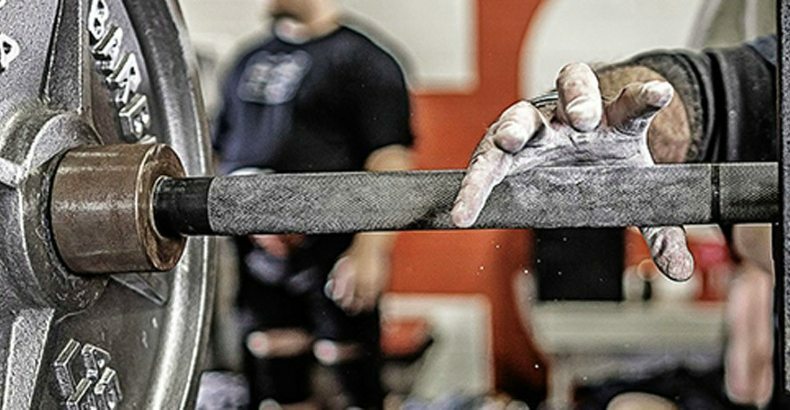 Here are a few tips on how to build a powerful grip. If you want to improve your grip, forget about lifting straps. You need to perform all of your pulling exercises, which best train your grip, without straps so that your hands can do all the work. To prevent the bar from slipping away due to sweaty palms, use some lifting chalk. You might struggle a bit at the beginning, but it will get a lot better with practice and the gains will be noteworthy. Plate pinches are a great and challenging workout finisher. Grab two wide-rimmed plates and put them together with the smooth sides facing outward. Grip the plates with your fingers and thumb, holding both of them together, squeeze hard and hold the position for as long as possible. Make sure to perform it with both arms. You can use two 5lbs, 10lbs or even 25lbs, depending on your level of strength. The farmer’s walk is the simplest exercise you can do to build muscle, burn fat and increase strength in the big lifts, and it’s especially effective for developing a strong grip. You can perform farmer’s walks with heavy dumbbells, kettlebells or plates. Simply pick up a desired weight with each hand and walk as far as possible, taking short, quick steps. After you completing one walk, rest for 1-2 minutes and repeat. Keep your back straight and your head up and make sure to breathe normally. Forearm curls are an important builder of forearm strength and will directly contribute to building a powerful grip. Sit on a flat bench and hold a barbell in both hands over the end of the bench with the backs of your forearms flat down. Allow the barbell to roll down to the end of your fingers, then curl it back up by flexing your wrists. Repeat for a couple of sets of 20-25 reps.
You can’t build the body you want without investing some time to build a stronger grip. Although it’s true that your grip will naturally improve if you perform most lifting exercises correctly, in some cases lifters are stuck with a weak grip despite managing to build a relatively strong upper body. And that’s how most training plateaus are created. If you want to be big and strong, you need to go after your weaknesses with all you’ve got – you’re only as strong as your weakest link. Start training your grip and you’ll see immense improvements in your overall performance and level of strength in a very short time.